Your Florida Dream home is waiting for you in this desirable area of Satellite Beach ! Brand new 2018 roof. 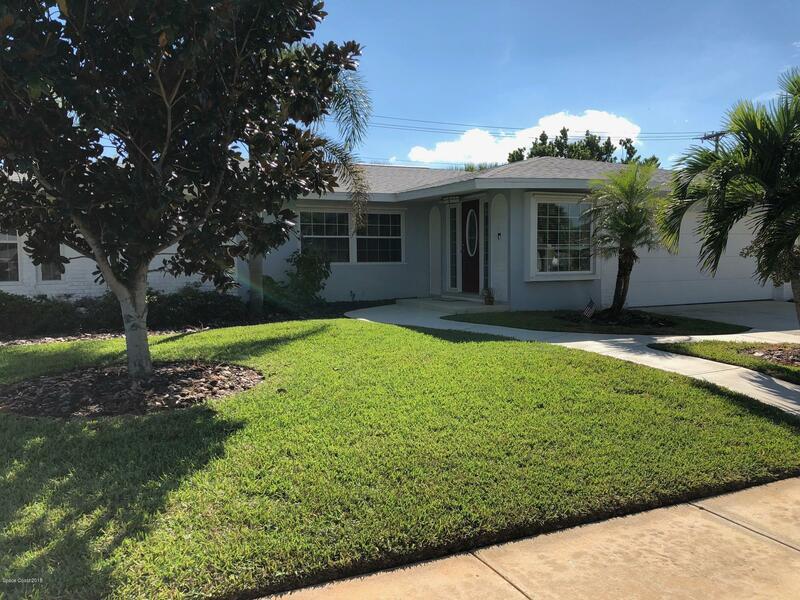 Completely remodeled interior in 2015 includes an open kitchen with granite and stainless appliances adjacent to the family room with fireplace. Updated lighting fixtures throughout, updated bathrooms, new irrigation system in 2015. The newer double pane Windows and triple slider offer amazing light and views of the lush landscaping. Privacy fence back yard has plenty of room for a pool. Make an appointment today!